I first tried Praline Bacon in New Orleans and instantly became obsessed! 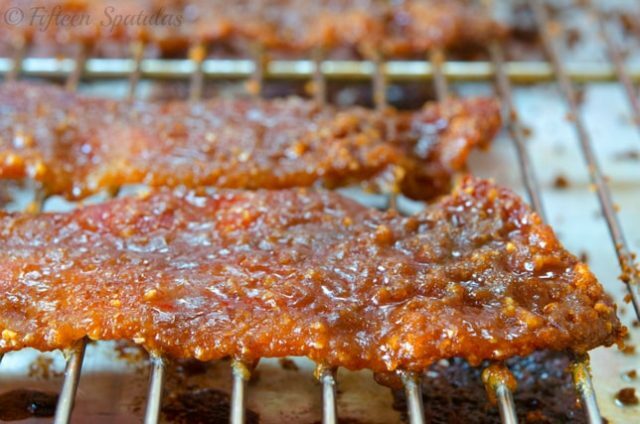 It’s a little sweet, salty, meaty, with a subtle pecan flavor as well. Well those people have OBVIOUSLY never had praline bacon. 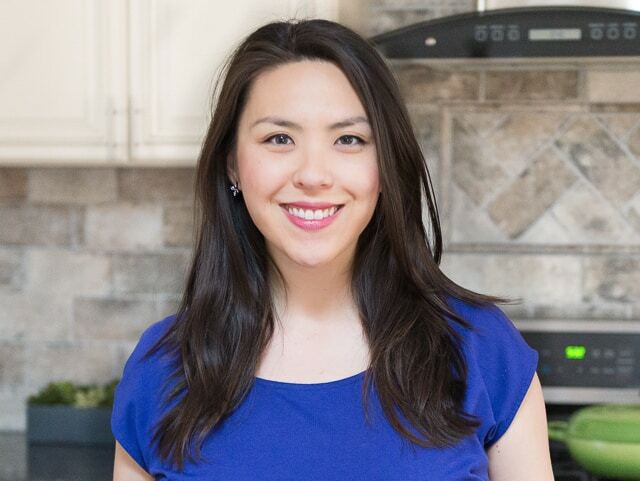 I remember a few months ago I came across a fitness blog written by this lady who had all sorts of crazy ab action going on, and right on her website was that very statement. Then she wrote that all she eats is chicken and vegetables every day, with salt and pepper. EVERY. DAY. Seriously, can you imagine eating that every day? Give me the option between her chiseled body and the option to eat good food…and well…the choice is pretty obvious (there ain’t no chiseled abs ’round these parts…well, there may be, I just can’t see them if there are, hehe). Don’t get me wrong, I do love chicken and veggies, but sometimes you want something dang good…that’s oh so bad…something you know is going to cost you some extra time at the gym. 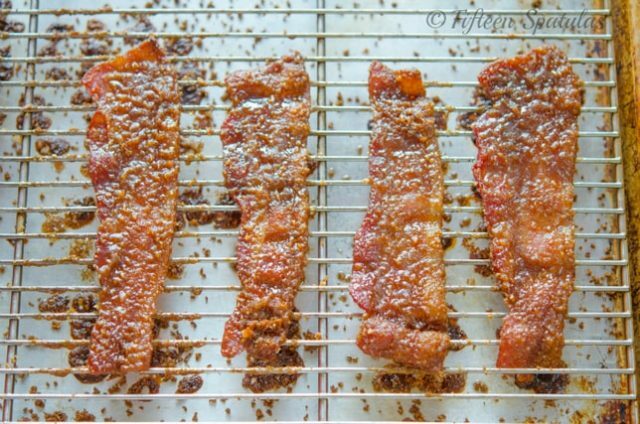 But hold on…what is praline bacon? 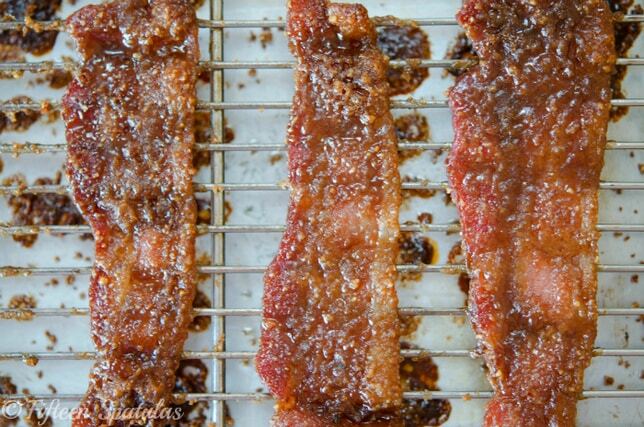 It’s bacon that’s roasted with a pulverized pecan brown sugar until it has caramelized. In other words, it’s sweet salty smoky nutty delicious. 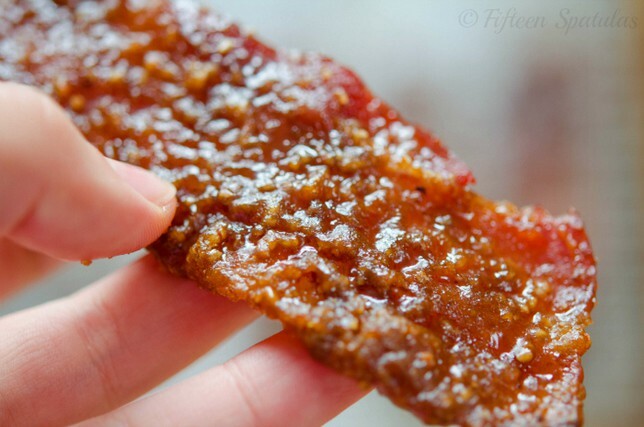 I first tried Praline Bacon in New Orleans and instantly became obsessed! It's a little sweet, salty, meaty, with a subtle pecan flavor as well. Preheat the oven to 350 degrees F, and set a wire rack above a sheet pan. 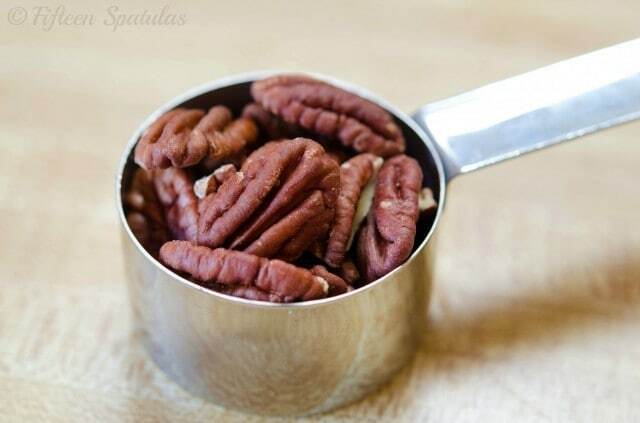 Pulse the pecans until they are chopped up into itty bitty pieces, but don’t pulse them so far that they turn into nut butter. 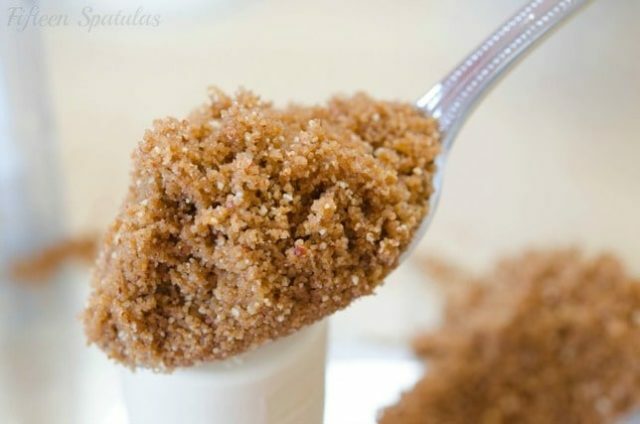 Add the brown sugar and pulse a couple times to combine. 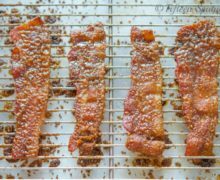 Press each bacon slice into the brown sugar pecan crumb, making sure to get both sides and shaking off the excess. 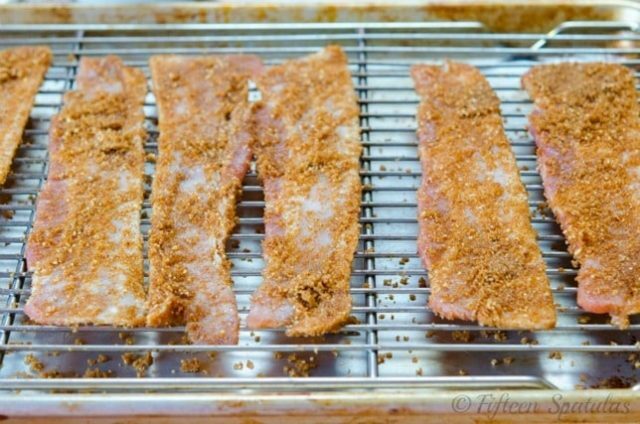 Then place the prepped bacon slices on the wire rack. Bake for about 30 minutes until the brown sugar has caramelized. Let the bacon cool slightly, but enjoy while hot and fresh out of the oven. *I strongly recommend center cut bacon because it’s less fatty than regular bacon.